With this week’s return of Derek Zoolander, we will make our long awaited return to the land of the really, really, ridiculously good looking. In addition to being really good looking, Zoolander and his friend Hansel are also really stupid. Most of the time stupid characters are simply sidekicks meant to make the hero look smart by comparison. Sometimes, however, on rare occasions, stupid people can be done so well that the audience will follow them wherever they go. They achieve a level of brilliance within their own idiocy. But creating a truly beloved moron is no simple task. It’s so easy for a character to be as annoying to the audience as they are to the other people on screen. But we came up with a list of characters that we love even though they’re dumb as rocks. Everybody has that one friend. 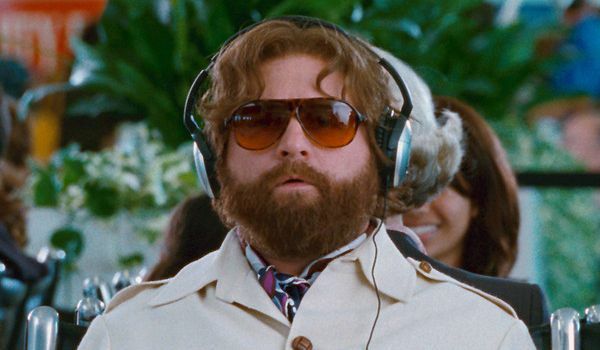 Luckily, for most of us he’s not as bad as Alan Garner. Don’t let the beard fool you, he’s a child. Alan appears to have stopped maturing and educating himself somewhere around the age of 10-years-old. He probably has more in common with Dustin Hoffman in Rainman than he realizes. He seems to be completely clueless to the world around him, especially his friends, who don’t even hide their varying degrees of disdain they have for the man. But the childlike joy is part of what we love about him. We wouldn’t have him any other way. 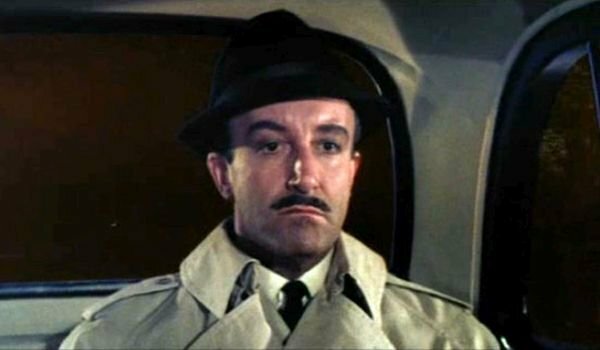 Inspector Clouseau, as played by Peter Sellers, of course (we’re pretending the Steve Martin thing never happened), is probably the greatest cinematic idiot of all time. So many have taken their cues from this great character. While the man is surely a fool who solves his cases more by accident than by any sort of skill, he’s also a victim. Murphy’s Law has it out for Jacques Clouseau. The entire world seems to have it out for him. Every object that isn’t nailed down is going to fall on him. If a pratfall is possible, it will occur. We suppose we can cue this up to a lack of awareness for his own surroundings, but seriously, after about the third movie you start to figure the world just doesn’t like this guy. 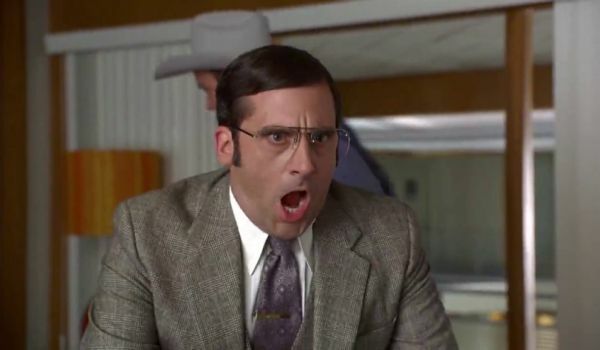 Being the biggest idiot among the cast of Anchorman is no small feat, but somehow Steve Carell is able to do it the role of Brick Tamland. As terribly, terribly stupid as everybody on this list is, nobody else actually needs to be convinced that they’re not dead. That is unique to Brick. It’s amazing that Brick has been able to fake his way around pretending to be a functional human. Even beyond that, he’s somehow achieved a level of success. How does a man who is utterly unable to interact with other humans able to impress in a job interview? We really can’t go much further without bringing up two of the biggest morons of modern cinema. 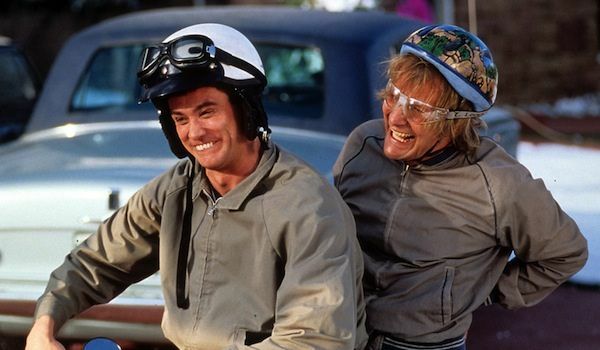 If there’s anything better a good movie fool, it’s two, and though Harry and Lloyd are two people, we're counting them as one entry because they come as a single unit. You get the distinct impression that if either of these two were on their own they would have accidentally strangled themselves with a shoelace years ago. Luckily, there’s just enough of a brain between the two of them to get them through life. We’re pretty sure both these guys actually land someplace on the autism spectrum. We should probably stop laughing at them, it feels insulting and mean. There’s a stereotype that people in rock and roll are all idiots. 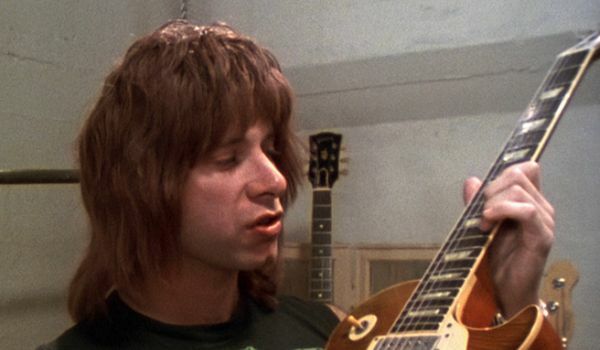 Nigel Tufnel is the rule which proves the exception. As the faux documentarian of This is Spinal Tap, Rob Reiner is forced to ask questions of a man who is utterly incapable of giving coherent answers. He spends his life with a perpetual look of confusion on his face. His amps may go to 11, but we’re pretty sure his grey matter only makes it to about four. His cluelessness is so endearing, though, and to be fair, he can rock like nobody’s business. There are all sorts of idiots in movies, but the worst are the ones who think they’re a lot smarter than they actually are. Otto West is a moron. At some point, he realized this, and so he tried to do things like read philosophy in order to be able to sound more intelligent. Now, he needs people to believe he’s brilliant. Of course, the inferiority complex that exists still forces him to utterly hate all things English because they come across as superior, even while he masquerades at being as smart as he thinks they are. 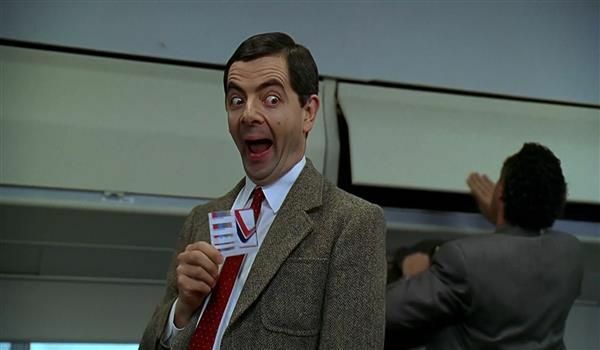 We almost didn’t include Mr. Bean here, because he’s really not a dumbass, he’s a stunted man-child and that’s not the same thing. The problem, of course, is that he’s not really a child. He’s a grown man. He’s also a complete numbskull. The literal definition of the word dumb, in that he’s also apparently unable to speak, Mr. Bean is in his own world and doesn’t let the fact that others are trying to live in any way impact his own existence. It’s best that he not deal with people because when he does he has no idea how to interact with anyone. 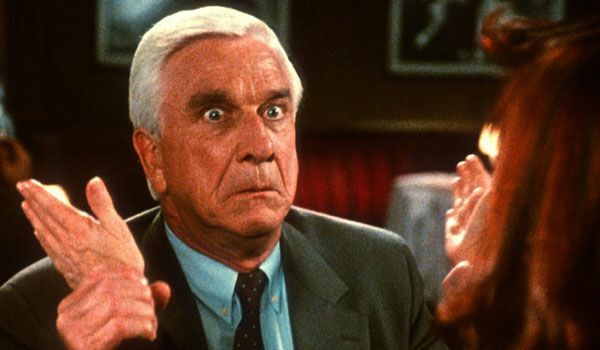 While Frank Drebin was designed as a modern Inspector Clouseau, he’s also a bit of a special case. Though Drebin is still a fool himself, forgetting to turn off his microphone when using the bathroom or dropping his hard hat into the gears of working machinery, he also exists in a world that doesn’t make a lot of sense. He can never seem to find his bearings. When he acts intelligently the world is foolish, and when he’s the fool it’s because the world is normal again. We can’t blame him for being perpetually lost. No, we can. If Clark Griswold understood his limitations he’d be fine. It’s not that he thinks he’s brilliant, he thinks he’s normal. The problem is he’s still wrong. Clark Griswold is not your ordinary everyday fool. He’s an entirely unique fool. 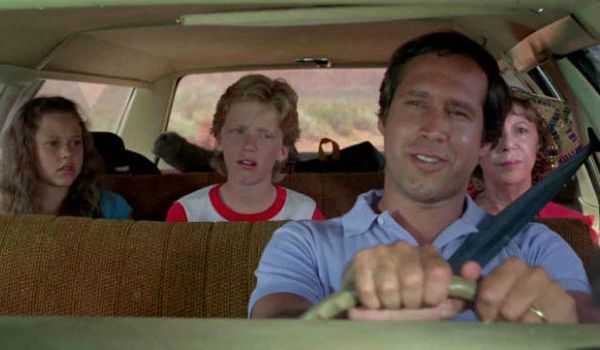 He’s not trying to do anything particularly special, he just wants to take his family on a nice vacation to Wally World. He’s the "lovable loser" type of idiot. He’s mostly harmless, until he tries to actually accomplish anything. Even the simplest things, like making sure his destination will be open when he gets there, are beyond him. He was born a poor black child. From there begins the most epic journey for an idiot ever caught on film. 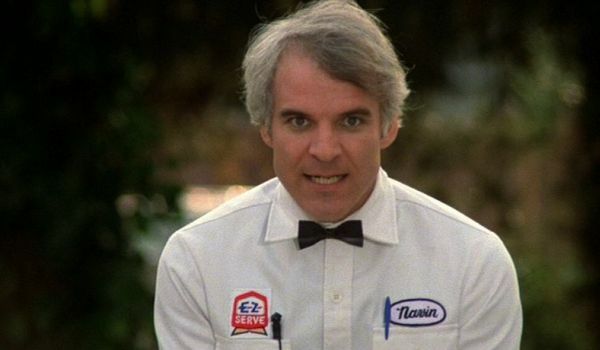 Of course, in his case, Steve Martin's Navin R. Johnson is so stupid that he’s actually brilliant, looking at things in entirely different ways than the rest of the world. That doesn’t mean that he isn’t still a complete dumbass. Although, it’s possible that biggest idiots in the film are actually all the people who listen to him, somehow not realizing, or simply ignoring, the fact that has absolutely no idea what he’s talking about. Why Didn't Anyone Go See Missing Link?